Overview: For a book featuring a blind lawyer-by-day, hero-by-night lead character, Essential Daredevil Vol. 5 is all over the place, but in a good way. Sure, the story bounces back and forth between San Francisco and New York City. Yes, we get plenty of Black Widow and Foggy Nelson, as to be expected. But it’s the other stories that take you by surprise in this collection. For starters, show of hands here, who remembers the time Daredevil led a group of heroes against Thanos? Seriously this happened! During the initial story which introduced Thanos to the Marvel Universe, he crossed paths with Daredevil, who got an assist from Captain Marvel and Moondragon. Too good to be true, you say? Check out Daredevil #107 to see it play out! The surprise foe of this book has to be the Mandrill, who has the ability to control women through pheromones. Certainly not due to his looks, that’s for sure. Thankfully, the Man Without Fear must dive into action to free the Black Widow and Shanna the She-Devil, as well as rescue Washington, D.C., from Mandrill’s takeover bid in Daredevil #110 to #112. What about the time Nick Fury stops by to see if Foggy would join S.H.I.E.L.D.’s Board of Directors? Public knowledge of that would paint a huge target on Foggy’s head, putting Daredevil and Black Widow on high alert against the forces of HYDRA! See Tony Isabella’s run from Daredevil #119 to #123 to get the origins of HYDRA and Foggy’s answer. What makes this Essential? : This was a more interesting read for me compared to the previous collection. I really like both Steve Gerber’s and Tony Isabella’s stories in this collection. (Side note – but I really believe that Gerber, Isabella, and Chris Claremont were probably Marvel’s most important writers in the 1970s.) Getting Daredevil back to New York was important, but the plot thread with Black Widow still in San Francisco dangled on for too long in my opinion. Perhaps the most essential part of this volume is the introduction of the Silver Samurai in Daredevil #111. Created by Gerber and Bob Brown, he sat dormant for three years before Claremont started bringing him into Marvel Team-Up on a frequent basis. That lead to an appearance in Spider-Woman, again written by Claremont. Two months later, he appears in both New Mutants and Uncanny X-Men, tying him forever into the mutant books from that point forward. 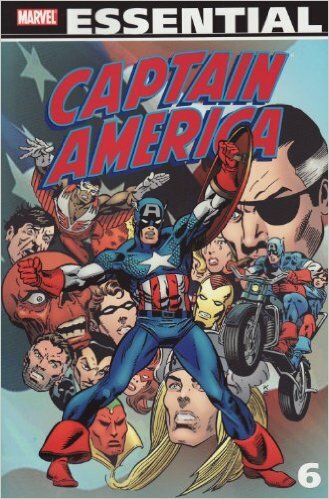 Footnotes: Marvel Two-in-One #3 is also reprinted in Essential Marvel Two-in-One Vol. 1. 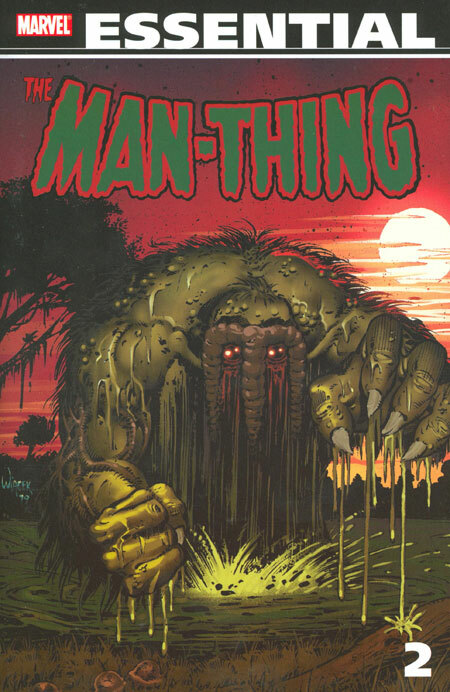 If you like this volume, try: the Kraven’s Last Hunt storyline from the Spider-Man books in 1987. OK, yes, I know this post is a review of Essential Daredevil Vol. 5. 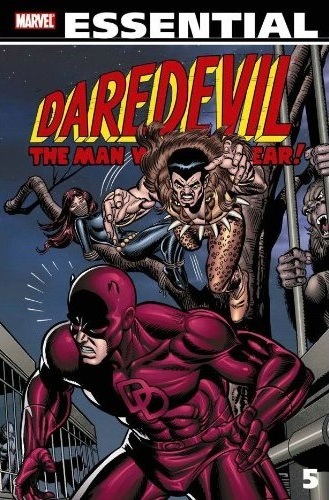 But I find the inclusion of Kraven the Hunter in Daredevil #104 and #105 very interesting. See, Kraven was not a villain that appeared in many books that didn’t involve Spider-Man. We never saw Kraven going after the X-Men or the Fantastic Four. And it really surprised me that despite being one of the memorable creations from Lee & Ditko during that initial run on Amazing Spider-Man, Kraven really didn’t get used that much period. So to have him show up here was a surprise to me. So in 1987, Kraven’s Last Hunt ran across the three books featuring Spider-Man (Amazing, Spectacular, and Web of) for two months. In a surprising move at that time, all six issues were written by J.M. DeMatteus and drawn by Mike Zeck. (Hindsight being 20/20, having the one team for the story arc worked out well over the years, as Kraven’s Last Hunt became one of the first trade paperback collections.) In the story, Kraven takes out Spider-Man by shooting him in the back with a dart and burying him in a shallow grave. Kraven then takes the black costume and embraces the Spider-Man totem as he hunts down Vermin, a sewer-based villain that could control rats. Eventually, Spider-Man is able to free himself and track down both Kraven and Vermin. Despondent over how things have played out, Kraven takes his own life. The story and art are perfect for this, and it has remained in print over the years across numerous formats. If by chance you have not read it yet, stick around because we get all six issues of the story collected in Essential Web of Spider-Man Vol. 2. Overview: Welcome back to more marvelous debuts of characters from the horror-themed titles of the 1970s. This volume features the first appearances of six characters of varying degrees of success. First up is the Living Mummy. Awakened after 3,000 years, the Living Mummy finds himself adapting to the world of 1973, whether in the streets of New York City or in the deserts of Egypt. Next up is Brother Voodoo, perhaps the most successful of the characters featured in this collection. Jericho Drumm returns to his home in Haiti. Caught up in a spiritual war, Drumm learns the secrets of the Loa and becomes Brother Voodoo. 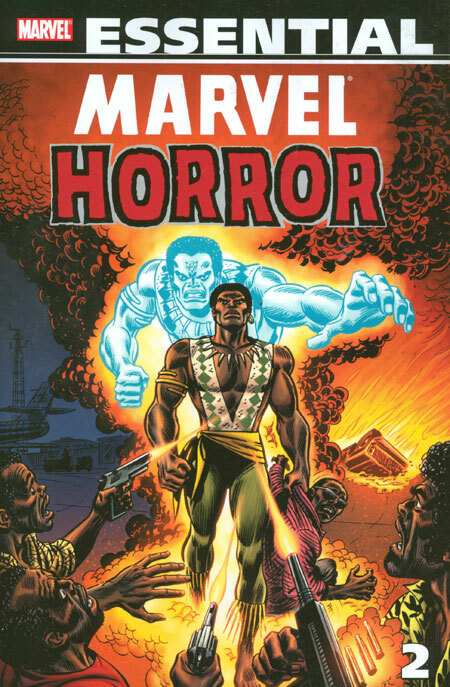 With the spirit of his deceased brother Daniel living in him, Brother Voodoo challenges zombies, ghosts, vampires, and villains. Gabriel, Devil Hunter comes to us from the pages of the horror magazines. With one good eye, the former priest conducts exorcisms to draw out the demons inhabiting innocent souls. Modred the Mystic comes to us from King Arthur’s court. Modred was to become an apprentice to Merlin, but that tended to be red-shirt situation, if you catch my drift. He embarks on a path to explore the Darkhold, which casts him into suspended animation until he is revived in the 1970s. Finally, the Scarecrow jumps out of a portrait to battle demons. (When he appeared later, he was renamed as Straw Man, to differentiate himself from the Silver Age villain known as Scarecrow.) I really want to write more about him, but there is not a lot to work with here. What makes this Essential? : This is a book that can go either way — it’s a must-own book or it’s a do not own book. It’s all dependent on your personal tastes. I found that the Living Mummy and the Brother Voodoo stories worked the best, as we were given multiple issues to really dive into the characters. The other four characters each get 3-5 issues, which in most cases is not enough to really get a solid or favorable position on the character. Personally, I might have preferred seeing more established Marvel Universe characters in this volume. For example, Greer Nelson debuted in the pages of The Cat in 1972. In 1974, she became Tigra in Giant-Size Creatures #1, followed up by a run in Marvel Chillers. She would later have stints in Fantastic Four and The Avengers (see the later Essential volumes of those titles), and has remained a fairly active character in the Marvel Universe since her introduction. This would have been a perfect showcase (pardon the use) for a female character, in a volume that is very male-centric to begin with. If any of the six featured characters interest you, then pick it up. If these characters do not interest you, stay far away from this book. Footnotes: Marvel Two-in-One #11 and #18 were also reprinted in Essential Marvel Two-in-One Vol. 1. 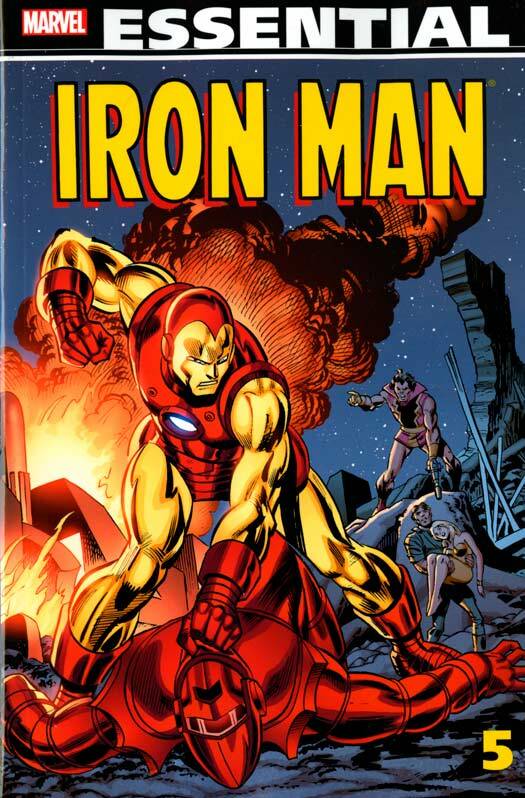 Marvel Two-in-One #33 was also reprinted in Essential Marvel Two-in-One Vol. 2 and Essential Spider-Woman Vol. 1. 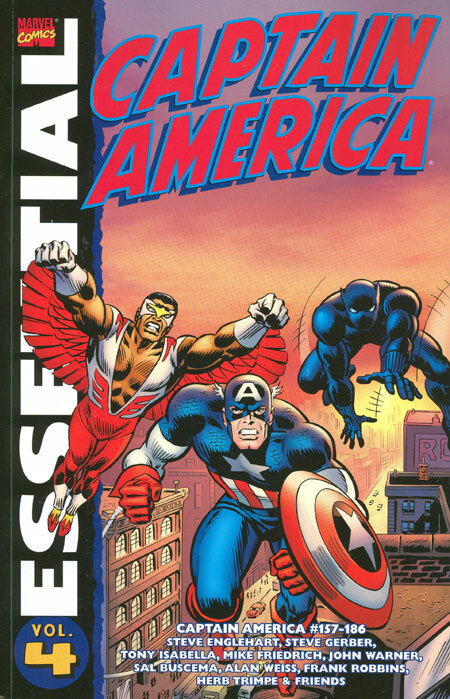 Marvel Team-Up #24 was also reprinted in Essential Marvel Team-Up Vol. 1. If you like this volume, try: the 1980s Elementals series from Comico. The idea of characters with powers representing the basic elements is nothing new in comics. The argument could be made that the Fantastic Four is the best representation of this concept. In the Living Mummy stories in this collection, we see an actual team of adversaries called the Elementals. Over at DC Comics, a team of Elementals was introduced (but never used again) in the pages of Super Friends – see Showcase Presents Super Friends Vol. 1. But the greatest use of the concept came in 1984 at Comico, when Elementals #1 hit the comic book racks. The four characters that would comprise the Elementals (Vortex, Morningstar, Fathom, and Monolith) actually made their debut in the Justice Machine Annual #1 from 1983. The basic set-up for Elementals is that the four element spirits find physical hosts (who have each recently died in that element) to help bring balance back to the universe due to the actions of the evil sorcerer Lord Saker. The book was written and drawn by Bill Willingham, many years before he became the grand storyteller of the Fables series. This is a really great series that sadly is not easily available today. Comico went through ownership changes and bankruptcy courts, and these characters have remained in limbo since the late 1990s. 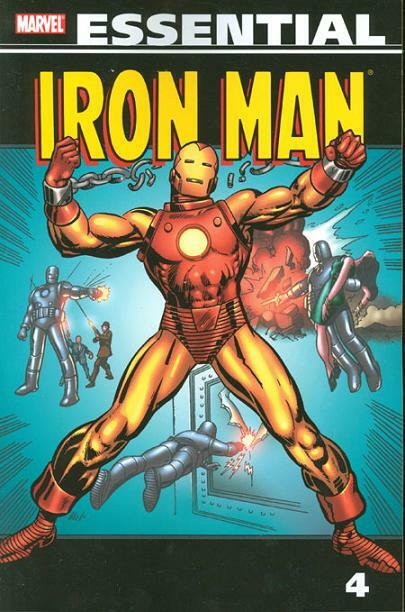 Comico released a trade paperback in 1988 collecting the initial story arc, but again, that is more than 25 years ago and its no longer in print. You might have to go to eBay or a really good back issue dealer to find these comics, but it’s well worth the hunt.